One of the best things last year is Janis of Untouristing and I formed a group of bloggers in our office team. We have always wanted to form a bloggers group with our team of writers and editors for so long and we finally did it. Apart from sharing our blog posts, giving tips, and commenting on each other’s entries, we created challenges so everyone would be motivated to write in their blogs. October was three posts a week (which I realized was very hard). November was movie, book, games, comics, and music reviews (where I did a review of Doctor Strange). And December was a #BlessedDecember post where I wrote about the blessings that 2016 gave me. For this January, we’re doing photo challenges and this week is all about “Local”. When we’re talking about “local”, of course, the first thing that comes to mind is the Philippines. I was born here, this is my home country, and the place that I want to explore. But upon analyzing the word, I realized that “local” is about the wonders of our country. It’s not the whole Philippines per se, but it is about the beauty of our islands, provinces, communities, beaches, and cities. In fact, we show everyone how beautiful the Philippines is through our local wonders. Last year, I rarely got out of Metro Manila due to budget and time constraints. But the very, very few times I went to different provinces, I made sure to take photos of their local wonders. By doing so, they will always remind me how beautiful our country is. One of the beautiful places that I went to last 2016 was Tagaytay. For someone who rarely goes to provinces, I deeply appreciate the beauty of Tagaytay. It also now holds a special place in my heart because this is where one of my high school friends got married last year. Not only was Tagaytay the place where Joy and her fiancé, Jayson made their union official, but it was also where the barkada got together after a long time. Since three of my friends work abroad, we rarely see each other. So the wedding was an opportunity to catch up. 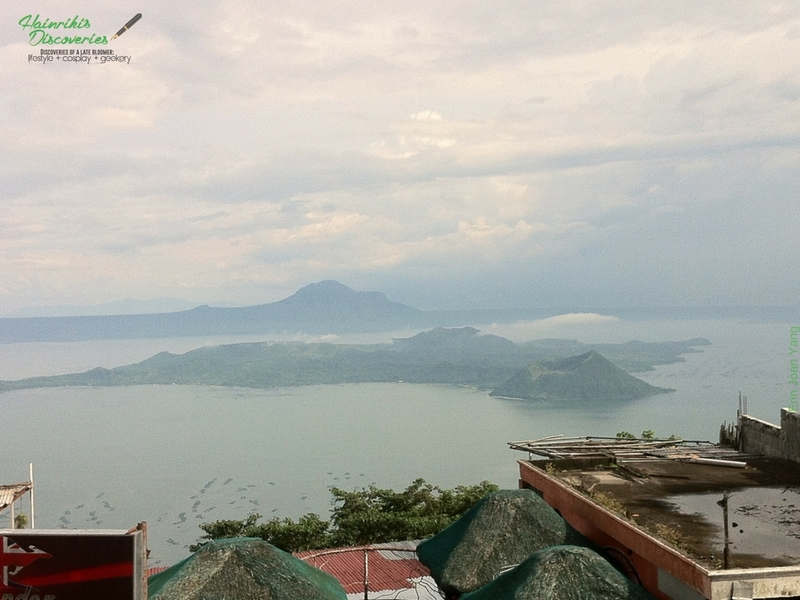 Going to Tagaytay won’t be complete without taking a picture of the famous Taal Volcano. Just seeing the Taal Volcano from a restaurant balcony while eating bulalo is enough for me to love this small but wonderful province. I believe Tagaytay is one of the local places that makes the Philippines a beautiful country. I don’t think Tagaytay will ever be removed from my travel list. I’ll be going back early this year AND later this year for the special events in my life. I can say I won’t ever get tired of going there because of its breathtaking sites, cool breeze, and local wonders. Have you visited Tagaytay recently? Let me know your thoughts about it in the comments section below. You can also reach me via Facebook, Twitter, and Instagram. An amazing shot. I've never been to Tagaytay or been so close to a volcano. It's neat to see your perspective.